She took a step back from the music scene to focus on her recovery from a kidney transplant and her mental health. 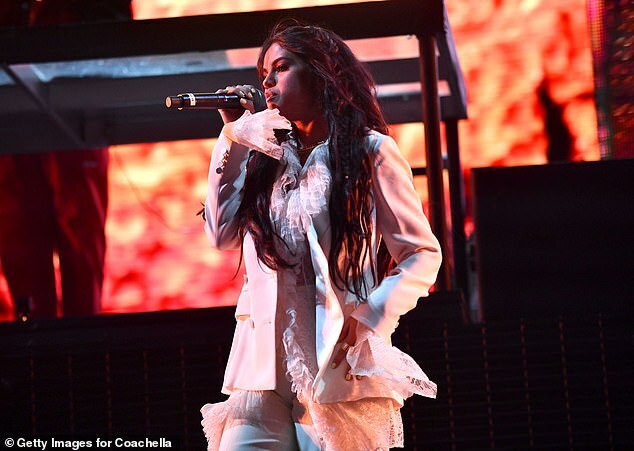 And Selena Gomez made a triumphant return to the stage at Coachella Festival on Friday as she made a surprise appearance with Cardi b during DJ Snake's set. 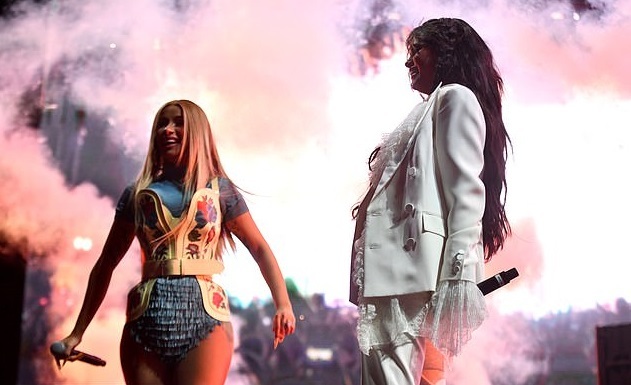 The Me and My Girls hitmaker, 26 - who last performed live on Taylor Swift's Reputation Tour in May 2018 - looked happy and excited as she joined Cardi and Ozuna for a live performance of their hit song Taki Taki. Selena looked incredible for her live performance, clad in a Victoriana-inspired tulle blouse, worn with a tailored white blazer. The sparkling look continued with flared trousers and vertiginous heels. Her brunette tresses were styled in flowing waves and plaited braids while her pretty features were enhanced with a radiant dusting of make-up. 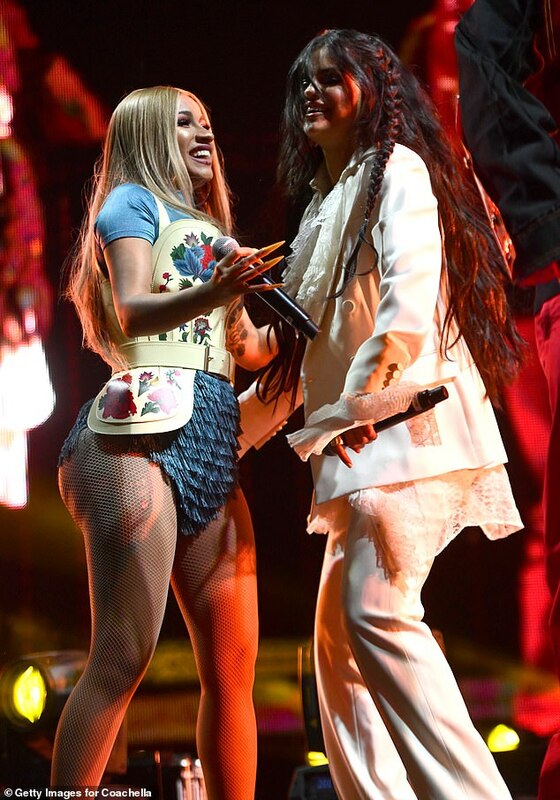 Selena, who had a kidney transplant in 2017 and also suffers from Lupus, was in good spirits as she chatted and danced, before showing off her powerhouse voice.